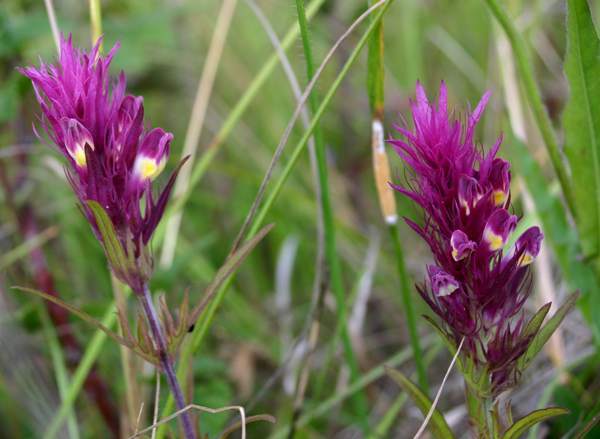 This lovely flower is found in grassland and is semi-parasitic on other plants. It is now very rare in the UK. 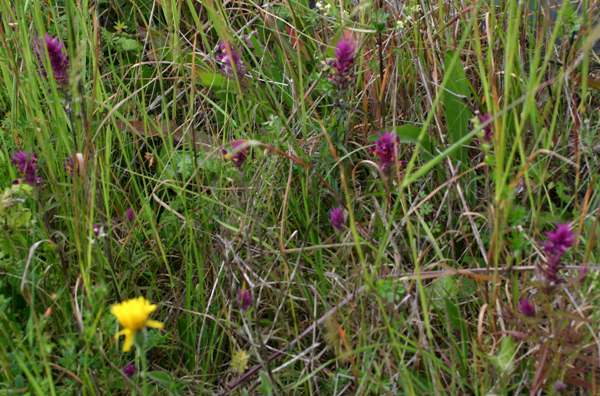 The specimens shown above were photographed in France on a motorway verge along with many hundreds of others. The closeup, below, is of a flower seen in southern England. Common Cow-wheat, Melampyrum pratense, may have a rather boring little flower, but please don't be in too much of a hurry to write off this genus entirely because it contains some extremelyy beautiful wildflowers. One such, which in Britain is found in just four locations in southern England (notably the Isle of Wight, Hampshire, Wiltshire and Bedfordshire) - is field cow-wheat, Melampyrum arvense. There are plenty of these lovely cow-wheats in parts of France, and indeed their distribution still covers much of mainland Europe. Field Cow-wheat is a chalk- and limestone-loving plant of dry open farmland and downland, where it blooms from June to September. Melampyrum, the genus name, comes from the Greek words melas- meaning black, and -pyros meaning wheat. It is a reference to the fact that if seeds of a Melampyrum species are included with wheat or other grain and ground up into bread-making flour then the resulting bread becomes discoloured (blackened). 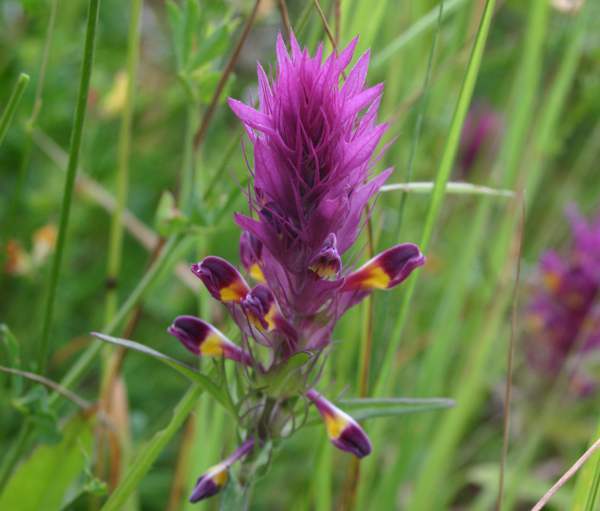 The specific epithet arvense means 'of cultivated land' - for example fields that are used to grow arable food crops, which is where Field Cow-wheat is most often found.